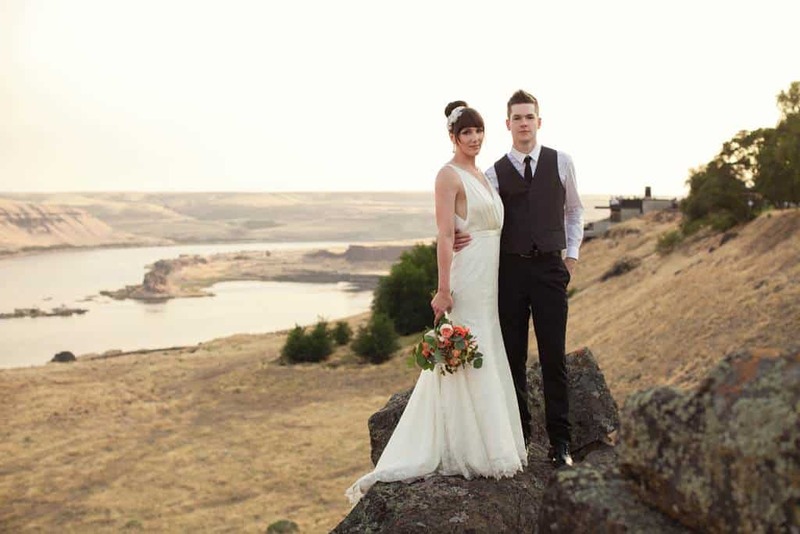 With its expansive grounds, breathtaking views, and gorgeous buildings, Maryhill Museum of Art makes an unforgettable event setting. 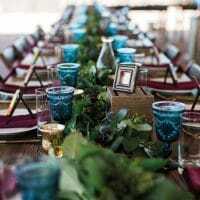 Weddings, receptions, meetings, special events and photo shoots are just some of the possibilities. The museum’s new M.J. Murdock Charitable Trust Education Center features a meeting room that holds up to 75 (seated) / 100 (standing). This space is available for meetings, conferences and small receptions. 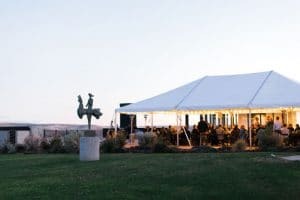 Outside the museum, the Cannon Power Plaza, with its expansive views of the Columbia River Gorge, and the William and Catherine Dickson Sculpture Park and its backdrop of large-scale sculpture, both make a majestic setting for any number of events. 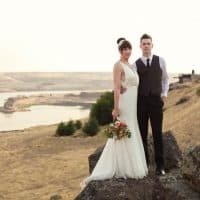 The historic Maryhill Loops Road and Stonehenge Memorial are both available as photo and film locations, for use by car and motorcycle clubs, or for other events. For information about event rental rates and availability, please contact the museum to discuss your plans. Call 509 773-3733 ext. 33 or email events@maryhillmuseum.org. Images: top of page by Brandon Witzel photography; photo of plaza above and table at left by Katie Dessin.